Role-play for children is a vitally important part of growing up. Here might just be the ultimate in role-play for kids. If you read my 10 must-do experiences in Dubai, you would have seen that the award-winning KidZania edutainment centre was on the list. Well, I'm delighted to say that I did get to go and check it out and can report back that it was seriously even more brilliant than I'd first imagined! Check out the above linked post for more specific details such as costs etc. Set inside The Dubai Mall is a purpose built "city" built at two thirds the regular size making it just perfect for children. The city includes a police station, fire station, hospital, bank, airport, television studio, supermarket, beauty salon, theatre, radio station, shops, eateries and so much more! After "checking in" at the airport and setting up their bank account, children are free to wander the city and choose from over 80 different roles that they can play in more than 60 establishments. Keeping Kids Safe. How to help children learn about road safety. Road Safety is so vitally important for children and is something that should be addressed early on through education and even more importantly, role-modelling. As parents, teachers and carers, we are well aware of how perceptive children are and how they love to mimic the words and actions of adults. It is therefore imperative that the lessons and words that we are teaching children, are backed up by our own actions. The Transport Accident Commission (TAC), is a Victorian Government-owned organisation that is involved in promoting road safety in Victoria and in improving services for Victoria's drivers. The TAC works closely with VicRoads, Department of Education and Early Childhood Development (DEECD), community groups and a range of other organisations to deliver road safety programs and key messages at meaningful and relevant times. To support the program for our youngest and often most vulnerable members of our community, TAC developed a TVC campaign “ThingleToodle” to encourage safe road user behaviour in young children through a focus on parental role modelling. Whilst in Dubai, I was fortunate to experience a really incredible Heritage Desert Safari and Dinner with Platinum Heritage. It was definitely one of the highlights of my trip and an absolute must-do if you visit Dubai. 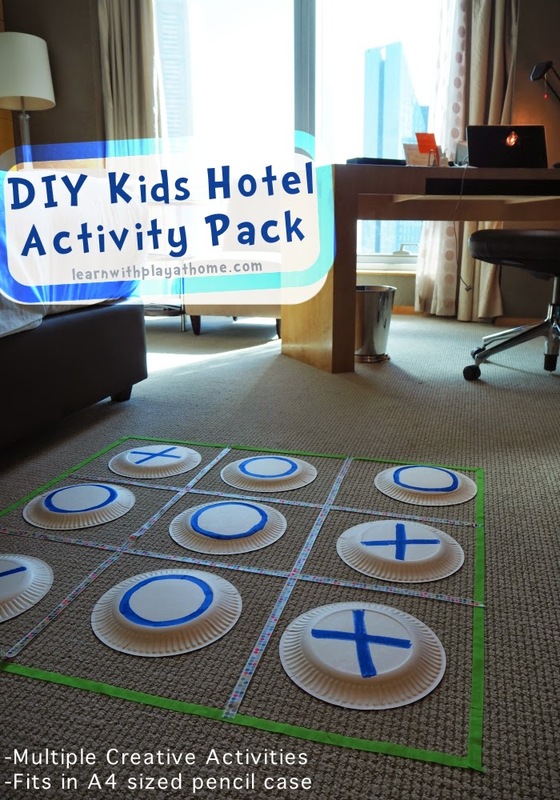 When we travel with kids, regardless of our hotel choice and the amenities it provides, there are always a few occasions during our trip where we find ourselves looking for ways to entertain the kids inside the hotel room. One child might be having a nap, some family members might be showering or changing or you may just be up there for a bit of a rest and recharge before heading out again. These days, I always bring a little activity pack so they can be entertained. As you are travelling, the items you bring need to be light and not bulky. I only take things that can fit into one A4 size pencil case. The items that I take are generally open-ended which means that they can be used in more than one way and for more than one purpose. "Where is the Green Sheep" written by Mem Fox and illustrated by Judy Horacek, is one of our favourite children's books (if you're not familiar with this Australian author then please have a look at her books!). It's so popular in our house that my son, who recently turned 3 years old, just had a "Where is the Green Sheep Birthday Party" (post coming soon). When I found out that I was going to Dubai, I knew that I wanted to share the experience with my children as best I could, which is always going to be challenging without them actually being there. I knew I'd end up coming home with millions of photos from my trip, but I also knew that the majority really weren't going to interest my younger children. As a way to make Dubai and the experiences that I was having, relatable & fun for children, and also as a way to help educate my children about the Emirate and the different culture in a way that would interest them, I decided to recruit the help of our Green Sheep soft toy! So, where IS the Green Sheep and what is he doing? In the picture story book he is actually found fast asleep behind a bush! 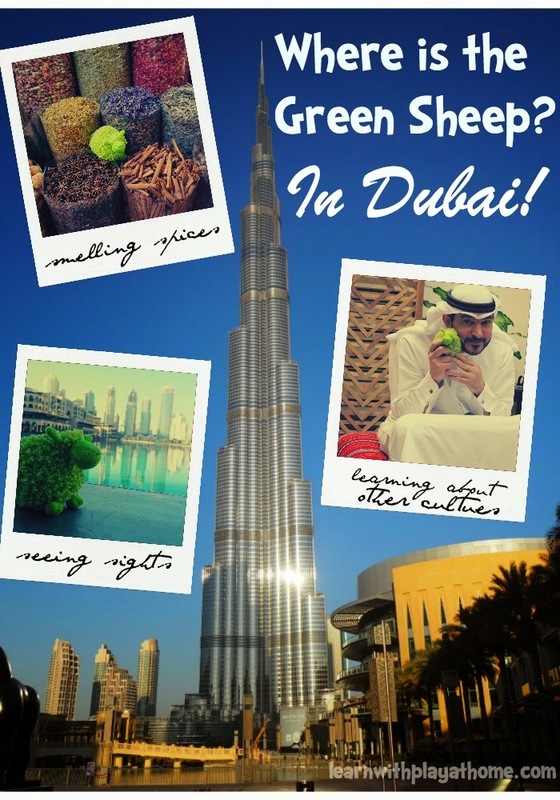 But currently, the Green Sheep is in Dubai and he's had no time for sleep! Here is where the Green Sheep has been and this is what he's been up to in Dubai. (Part 2 will be up soon). Skills: Creativity, fine-motor, language, sensory, etc. 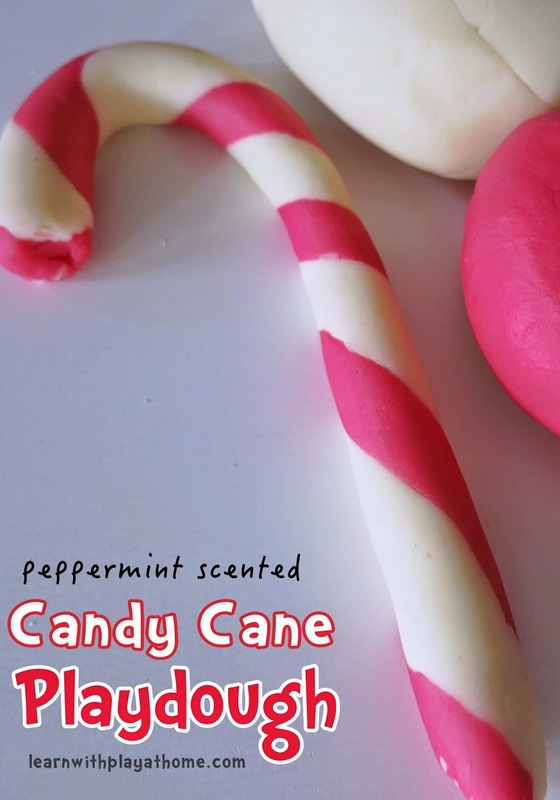 I then divided the mix into two and coloured one half red (using red food gel colouring) and left the other half plain so that it would be white. 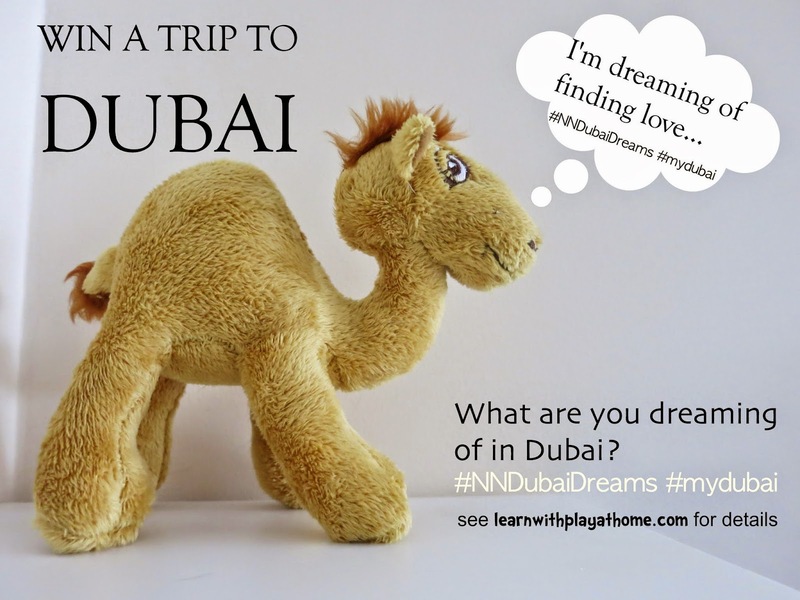 Since finding out that I am going to Dubai, I have furiously been researching all the amazing things that you can do with kids in Dubai. Trust me, there are plenty! Although I am travelling sans the kids this time, I still find myself researching family friendly activities. It probably has to do with the fact that I'm still a big kid at heart and I love all the fun family experiences we have. (One of the reasons people have kids is to relive all the fun stuff again, right?) I also have plans to bring my family with me to Dubai next time, so I'm keen to find the best places to take them. When we travel as a family I always do a lot of research before we go. I guess I worry that I'll go and miss something amazing, so I have to be sure I've found out the details before I leave. Often there are so many things that it can be hard to fit it all in, and I always like to leave us with free days for exploration or rest. This means I'd rather make sure to do my most desired experiences first. 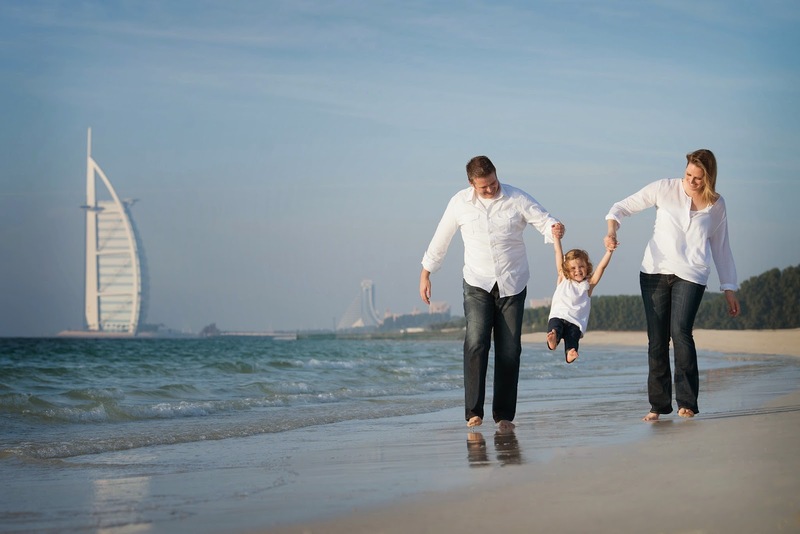 As mentioned, there are a plethora of things that you can do in Dubai with kids, all with a range of prices. After much research, including some first hand information from my Dubai connections (thanks guys! 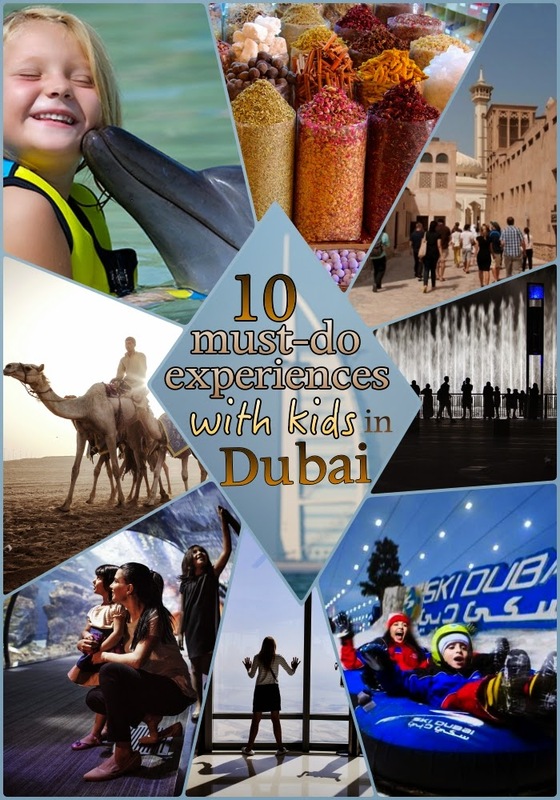 ), I have come up with a list of my top 10 must-do experiences with kids in Dubai. Whilst these may not all be experiences directly marketed towards kids, these are what would be top of MY to-do list if my family were with me. Hopefully I will get to experience some of them on this trip. 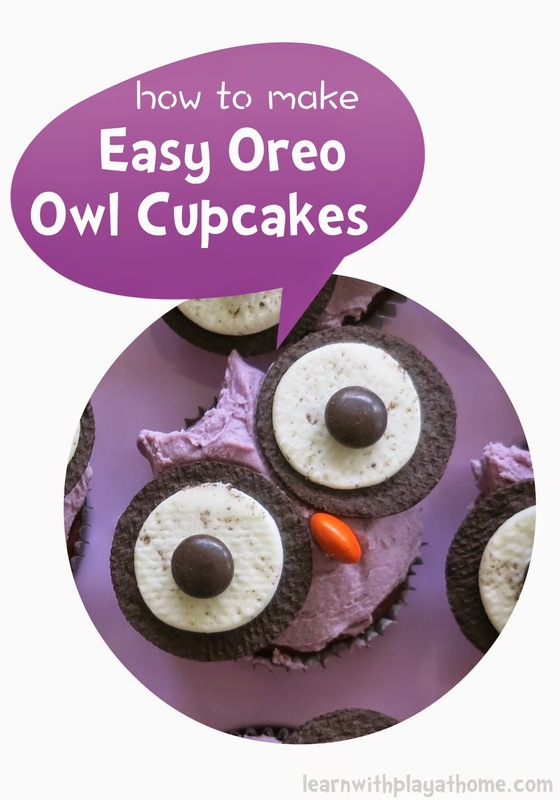 For fun and learning for kids, follow us on Pinterest. 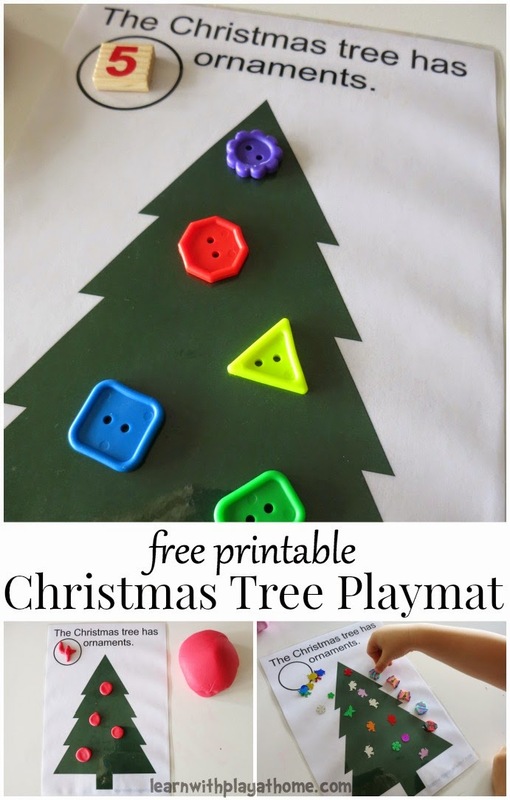 For a quick and easy Christmas themed activity, that focuses on creativity, counting, number recognition, fine-motor skills and a bit of added literacy, I made these Christmas Tree Play Mats. 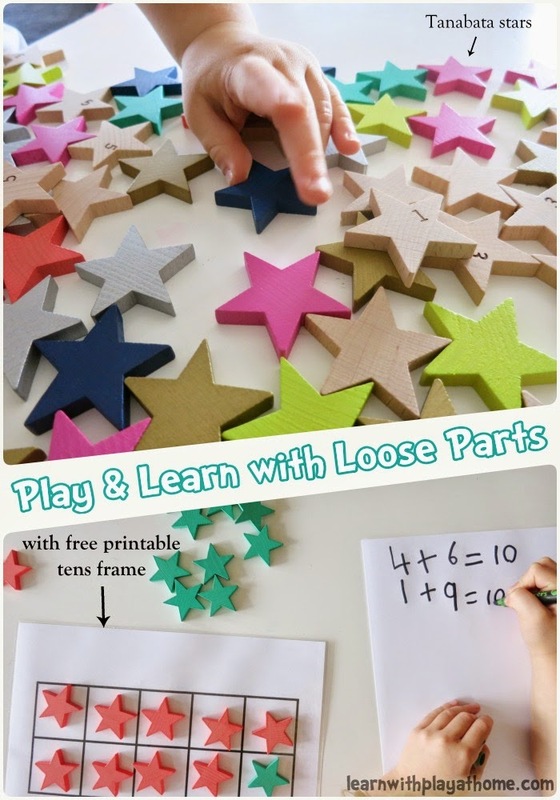 Print, laminate and then present them to your child with some playdough, loose parts, numbers and/or whiteboard markers. Too easy. Sensory Spring Table Investigation. Invitation to Play. With Spring in full bloom here in Melbourne, the garden has come alive with a variety of flowers and nature. 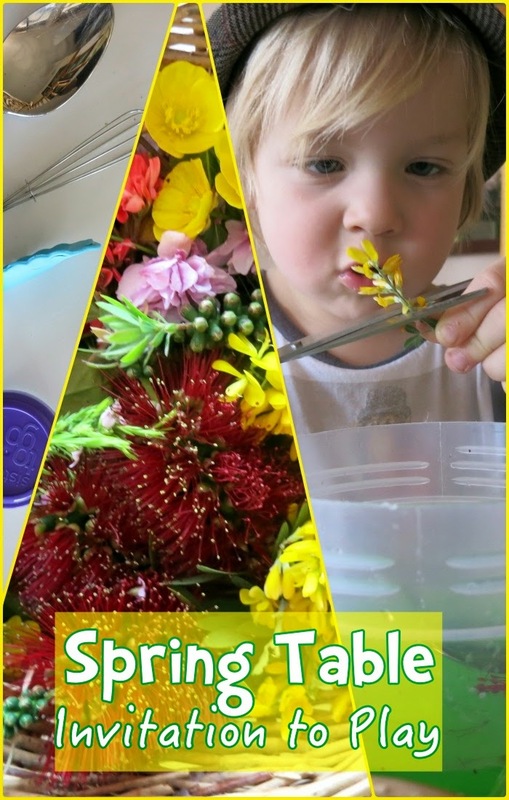 To investigate this change in season further and explore different aspect of natural objects, I set up a simple Sensory Spring Table Exploration for my son. Although my baby has recently turned 3, among my circle of friends there seems to be a baby boom happening. Lots of gorgeous new little people joining our lives and entering our hearts. What a blessing! 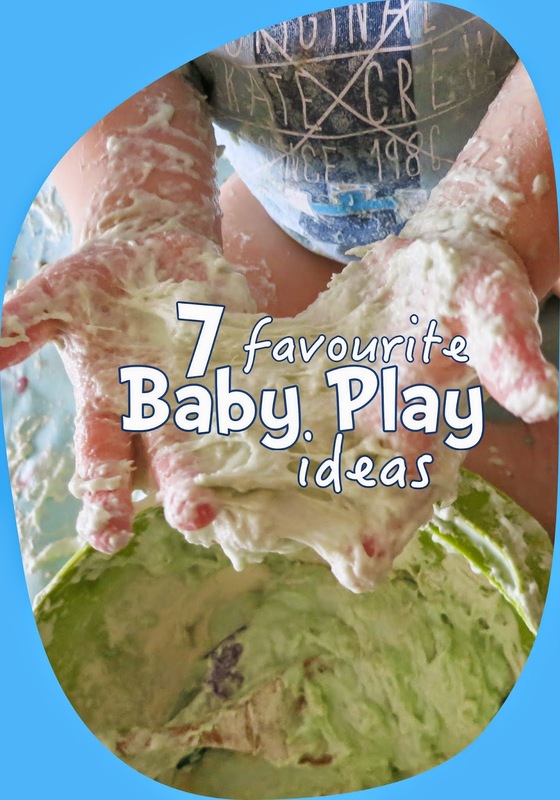 To celebrate, here are a collection of 7 baby play ideas that both my children loved. These activities are generally suitable from when baby has developed their head control and is sitting up (approx. 6 months onwards) and all require supervision. Playing and Learning with Loose Parts. Tanabata Stars. When Krystal from Sweet Elephants contacted me to have a look through her online store and see if there was anything that inspired me, it didn't take me long to find something. Whilst the store was full of unique and good quality toys and gifts for children, when I saw the Tanabata Star Dominos, I instantly fell in love. This seemingly simple manipulative for children looked to be beautifully made and the bright, bold, colours in different tones to most children's toys, leapt out at me. We love using loose parts for play and learning so I knew that my children would love and get a lot of use out of the Tanabata Stars. In the almost 3 years that I have been writing this blog, I have been blessed to have some fabulous experiences, but none quite so fabulous, quite so amazing, as what I am soon to be embarking upon. Thanks to my fabulous blog agency, Bloggerati by Nuffnang, who are responsible for coordinating the majority of the work I do for clients, and Dubai Tourism, I, along with 20 of Australia's top bloggers, will be going on a Bloggerati Getaway to Dubai! Whilst this is a location that excites me for all the obvious reasons, (the culture, the architecture, the shopping, the food, the wonder, the opulence, the experiences!) there is a reason, even closer to my heart that makes Dubai somewhere that I have desperately wanted to go to. My closest cousin and her family live in Dubai! Growing up, Julie-Anne and I were very close as we were the only female cousins out of many. We spent many school holidays staying at one another's houses, were bridesmaids in each others weddings and she's the closest thing I've ever had to a sister. When Julie-Anne and her husband, Corey, moved to Dubai for work, the family were sad to lose them but they told us that it would be for a maximum of 2 years. Well, its been almost 7 years now (!!) and they have no plans to return home to Oz yet. They love it there. As you can see by the above picture, since living in Dubai, my first-cousin-once-removed was born. I have been wanting to visit them ever since they left and I am so incredibly excited to finally be getting the opportunity! Dubai is conveniently positioned as a layover/stopover to other destinations. While I am there, I will be sussing out things for the time when I will be able to bring my whole family over to Dubai. 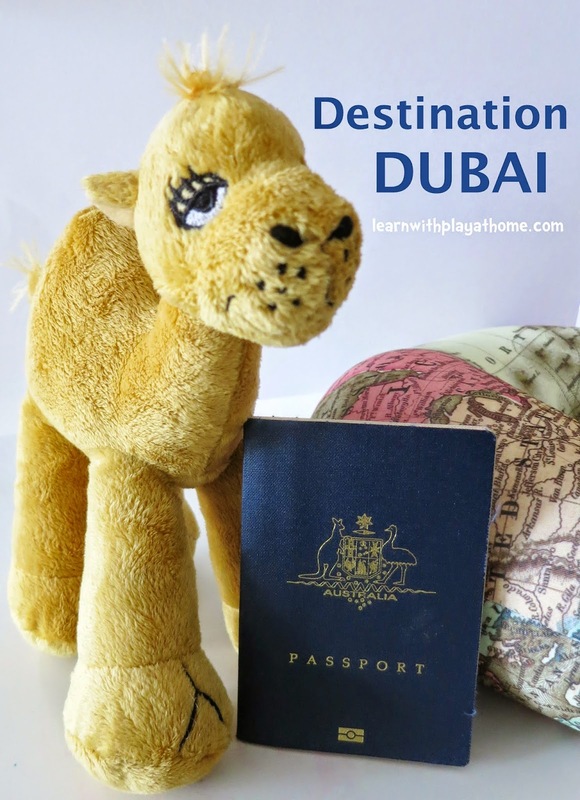 I am very keen to find out how kid-friendly Dubai really is and hopefully uncover some of the lesser known places to go or experiences to do with children. 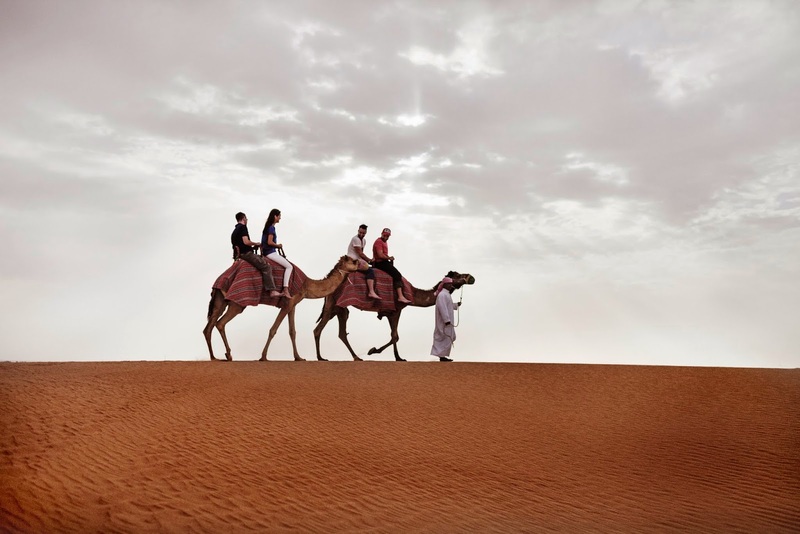 My own children will not be accompanying me on this trip which gives us even more reason to learn about Dubai, The United Arab Emirates (UAE) and the Middle East together, as a way to include them in my experience. Before I leave, the kids and I will be looking closer at the Geography and a little bit of History of Dubai and the Middle East. We will learn how to research about other places as we discover more about the culture and customs of my destination. (We will also see how important it is to research your destination before you go, especially as I pack). When I return, I can't wait to show the children Dubai through my eyes and use my photos and experiences to inspire further learning and exploration together. My kids are already keen to cook a Middle Eastern dish (I'll have to try out lots of food while I'm there to find a suitable recipe. It's ok, I'll manage... for the kids) and I know that the incredible architecture and sights could well inspire some fabulous construction building and art work. Whilst in Dubai, I will be joining the #MyDubai initiative, created by His Highness Sheikh Hamdan bin Mohammed bin Rashid Al Maktoum, Crown Prince of Dubai and Chairman of the Dubai Executive Council. The intention is to celebrate the everyday lives of the people and communities of the Emirate and show the city that is beneath the landmarks, headlines and superlatives. The Australian #MyDubai initiative will provide the opportunity to showcase and uncover some of Dubai’s hidden gems and lesser-known highlights to the Australian market. This giveaway is open to Australian residents & will close at 5pm AEDST on November 12th 2014. Full terms & conditions available HERE. Competition details are also available HERE. 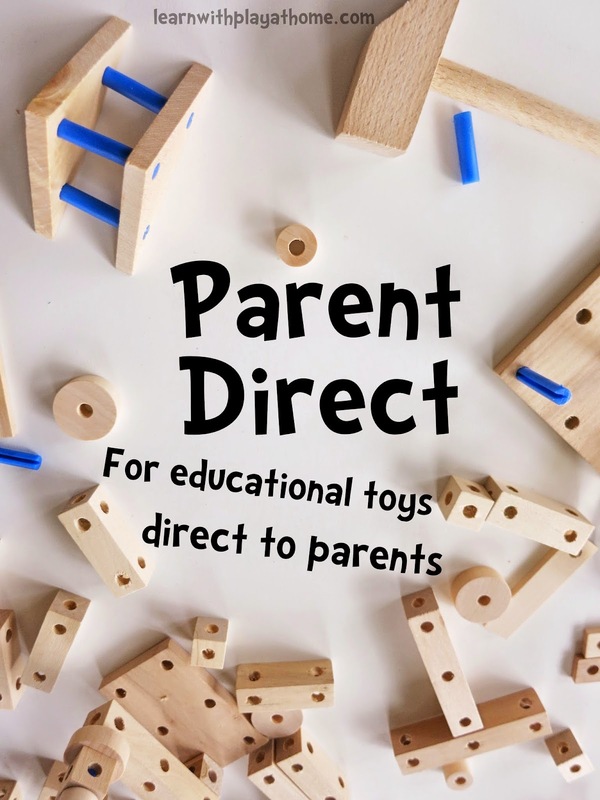 Parent Direct. For educational toys and gifts direct to parents. 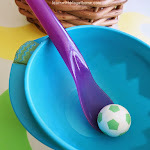 Finding good quality, affordable educational toys and materials is not always easy from home. That's why when I'm introduced to places that have these things available, I love to share them with you. This post is sponsored by Parent Direct and Nuffnang. As a school teacher, one of the many jobs I loved doing was the ordering for the classroom. We usually did the bulk of our ordering at the end of the year so that the supplies would arrive before the new school year started. I would love pouring over the catalogues from educational suppliers and checking out all the fabulous educational resources available. When I had my own children and was on family leave from teaching, like many parents, I was excited about buying toys and materials for my children. That's the really fun stuff! (Especially if you love to play too.) I was already aware of the awesome resources available for children to play and learn, and these were the sort of toys I wanted for my children. I discovered though, that finding these toys and resources was actually more difficult than I'd thought. I knew the names of a number of educational distributors and attempted to find places to buy or order their goods. I often found the sites and the ordering to be overwhelming though. Many are not really set up for individual purchasers (more for schools or bulk orders) and require you to print out large forms and fax them off. Often with freight costs, the items would end up too expensive. It wasn't until my daughter was attending 3 year-old kinder that we started getting the fundraising catalogues sent home. I couldn't wait for the book club ones (yay, love book club!) but I was even more delighted when we were sent the ones for educational toys! Finally I had a way to not only easily purchase the educational toys I wanted, but to also help our school or centre. What a great idea! I am delighted to bring you another great ebook. 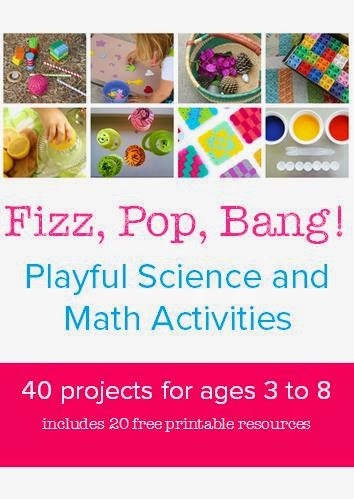 This hands-on book full of maths and science activities has been collaborated on by a fabulous group of bloggers and is jam packed full of fun activities with easy to follow instructions and explanations. With multiple authentic learning opportunities in maths and science, incorporating art, sensory learning, motor skills and discovery, for a whole-brain approach. 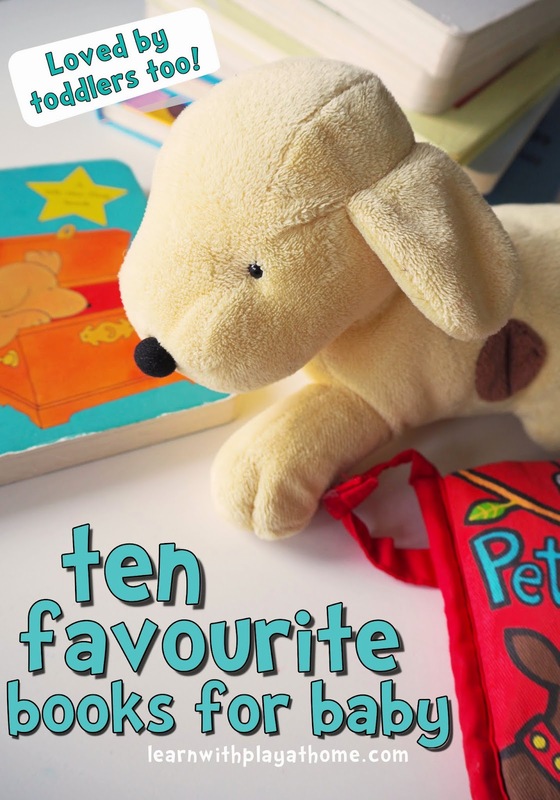 Whether you are a teacher in the classroom or a parent at home, you will love the clear text, bright pictures and ideas for further learning, brought to you by a group of mums and teachers that have tried and tested all of these activities. 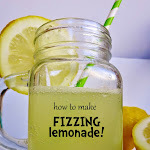 With 20 printable resources that you can use to complement the activities or for your own creative pursuits, I am sure you will enjoy your copy of Fizz, Pop, Bang! Playful Science and Math Activities. 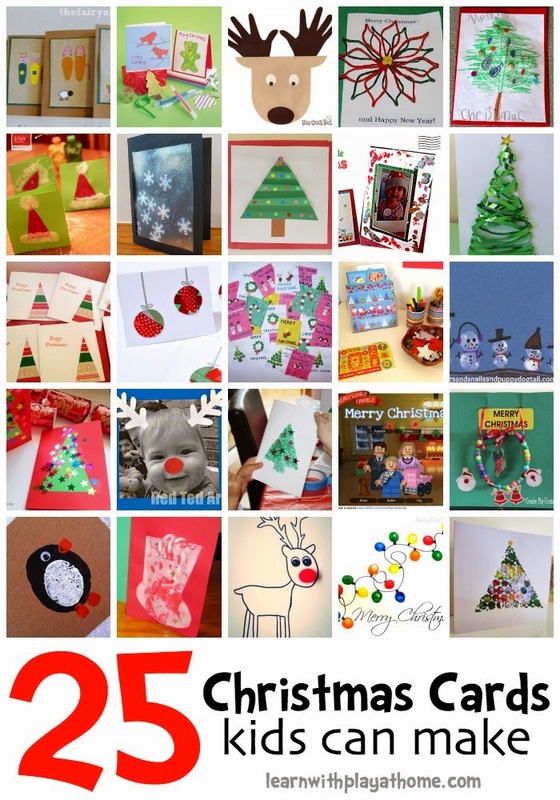 40 Projects for ages 3 to 8. I've always wanted to do some sewing with my kids, but being someone who's not big on sewing herself, I've found it hard in the past to get motivated about it and wasn't entirely sure where to start. When our friend, Trixi from Coloured Buttons sent us a copy of her new book, "Sew Together, Grow Together" I knew this was going to be my best shot at giving it a go. I love the idea of sewing with children as they would need to practice fine-motor skills and hand-eye coordination, it allows them to be creative and resourceful, not to mention the fact that we could create, by hand, special, beautiful and useful things. 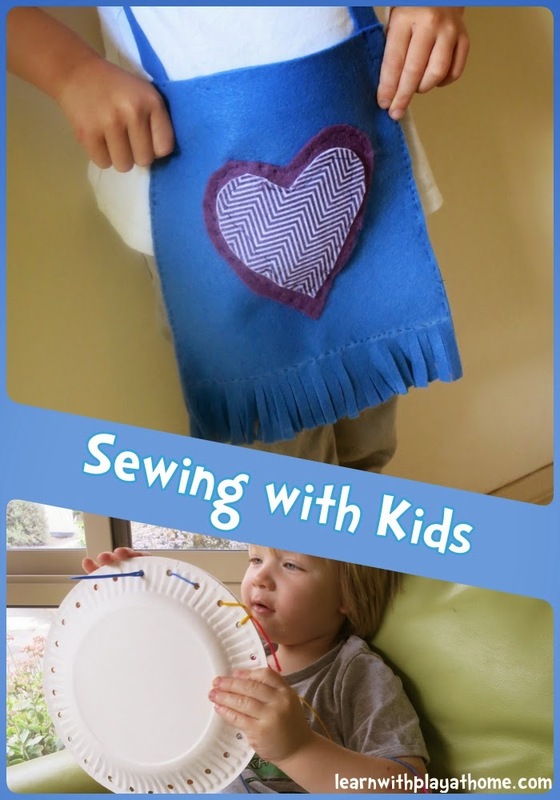 Sewing can be challenging for children and they need to practice patience and concentration. The best part is the pride that they feel from creating, accomplishing something and learning something new. One minor problem with attempting to do some sewing with my daughter (aged 5) was that her younger brother (almost 3) always wanted to join in too. As he doesn't have naps and we were yet to find a time that we could try sewing without him around, I needed something that would allow him to join in as well. Having a baby (especially your first) can be an overwhelming experience. The world of BABY/KID STUFF is an extensive one, full of items you never knew you "needed" or even existed. When it comes to entertaining your baby, the most wonderful toy for them is you. Watching you, listening to you, touching you. Time with you and other caring people is invaluable for their development. There are also many fabulous pre-made toys and items for babies that in addition to the company of you and others, can help entertain, stimulate, sooth and aid in their development. There are so many things out there that you could be continually buying something new, however it's just not necessary. Often, with many of the toys marketed towards babies, they are able to use them very limitedly before they either out-grow or get bored by them. 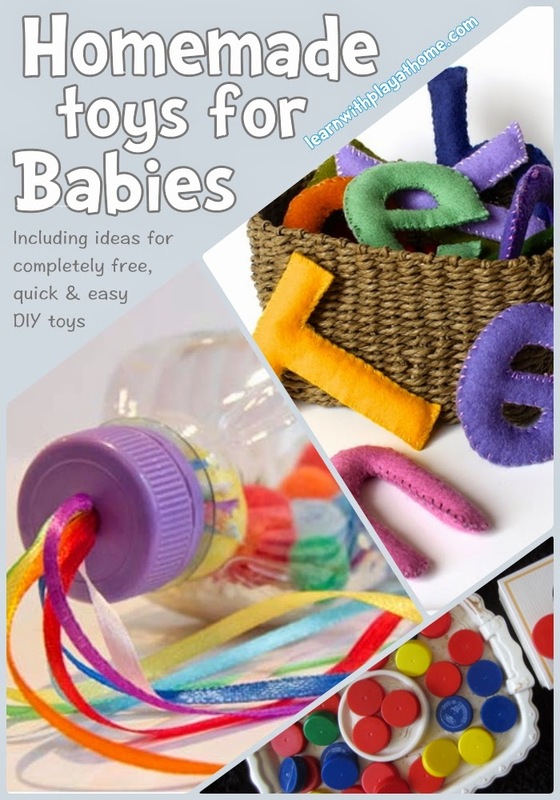 This is where making your own toys can be beneficial as you can provide new and stimulating items for them, often for a very low cost (sometimes completely free) and little effort. 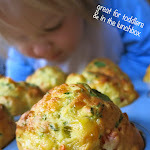 Getting a little bored of sandwiches in the school lunchbox, and wanting to include some different vegetables, we thought we'd make some yummy Cheese and Veg Muffins. Involving the children in the cooking process meant they were much more likely to give them a try and it gave us plenty of opportunities for chatting about foods and healthy eating, as well as engaging the kids in the math, science, literacy and kitchen skills that come with cooking. 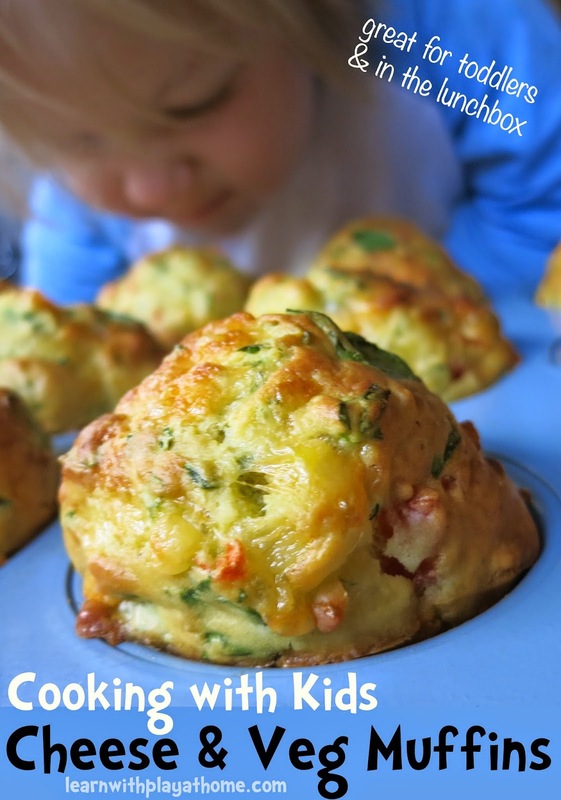 We've previously made a savoury ham, cheese and spinach muffin with great results so it was easy for us to tweak this one up in the healthy notches by replacing the ham with extra veggies. Using the base recipe, you can swap the included veggies for ones that you have available or that your kids prefer. Using similar quantities to what we have here will make a light and fluffy muffin, or you could add even more veggies for a slightly heavier, denser muffin. It's fun experimenting. Here's how to do it. 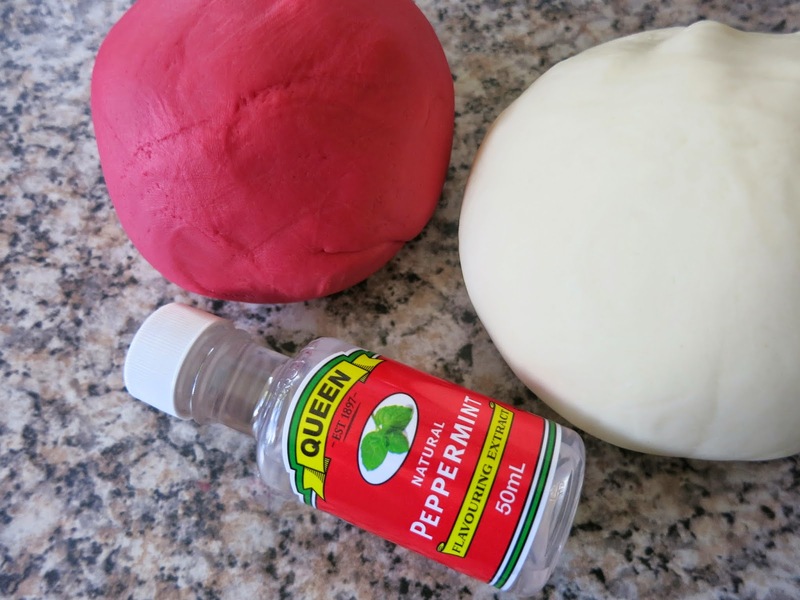 Children will require adult supervision in the kitchen and may require some assistance with some of the steps. The picture steps below make it easier for children to follow along and do the cooking themselves. See the bottom of the post for the simple instructions in full. One of the things that children in Victoria, Australia are taught in their first year of Primary School, is writing between the lines in order to develop their handwriting. Despite the fact that it may seem handwriting is on the decline, thankfully it is still taught to our children. Once children have developed their fine motor skills, worked on learning letters and practiced writing on blank paper and with other mediums to develop their letter formation, they are usually introduced to handwriting paper with dotted-thirds to assist them in writing letters of consistent size and format. 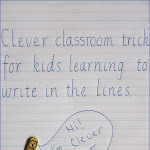 A little trick I used in my classroom to help children learning to write in dotted-thirds was, "Clever Cat." Clever Cat's bottom sits on the solid base line and his body takes up the first gap. His head sits on top, occupying the second gap up between the dotted lines and his tail dangles below the solid line, extending to the first dotted line below. 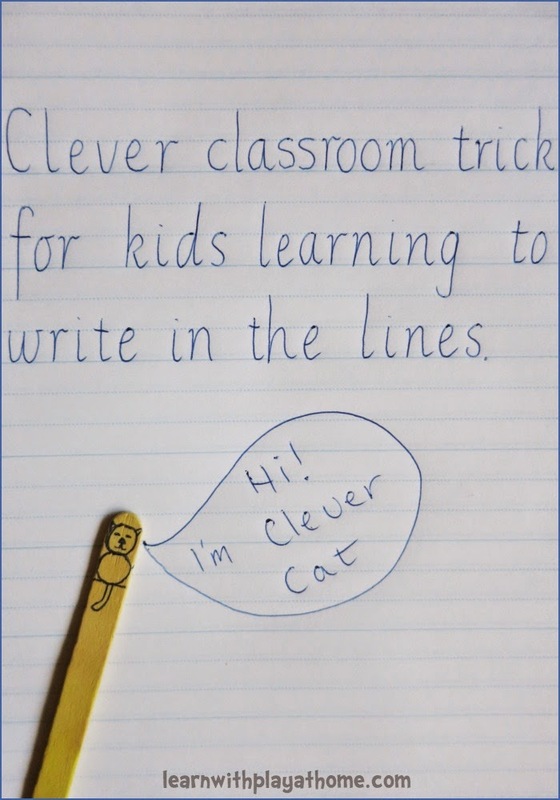 Clever Cat works as a fun visual aid to assist children in remembering where letters should sit between the lines and their sizing. When we write out all the lower-case letters, we can see that they all sit in Clever Cat's body space. Some also sit in his head space and some in his tail space. In the script we use in Victoria, our lower-case "f"'s sit in all 3 spaces. We end up referring to the letters as "body letters," "head letters" and "tail letters" once we are familiar with the concept. All of our upper case letters sit in the body and head space. 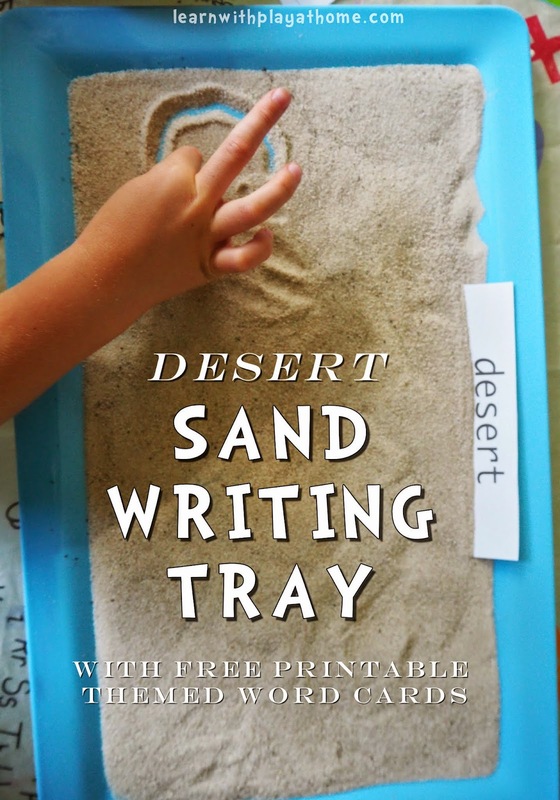 They are usually easier for children to write than the lower-case letters. 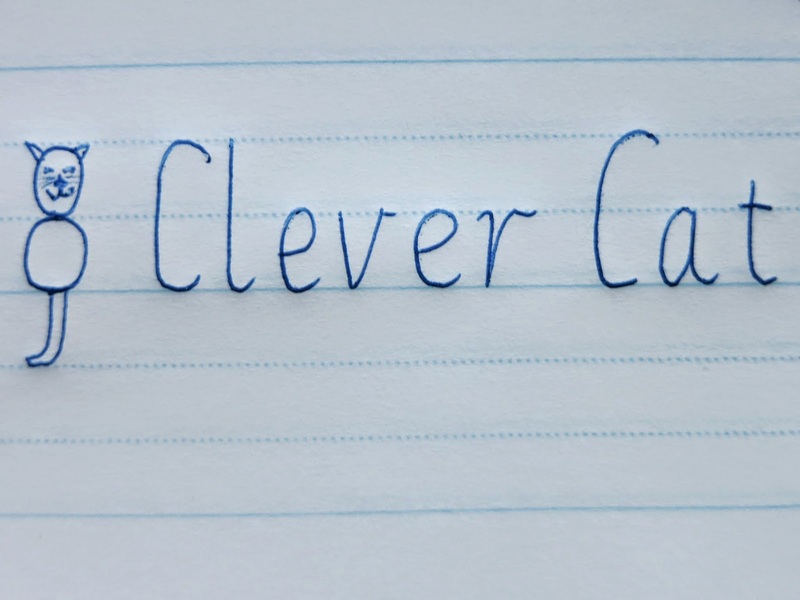 We would draw and discuss Clever Cat when we did handwriting together as a class on the board, and then when children were writing in their hand-writing books, they or I would draw a Clever Cat at the start of their writing for them to use as a visual aid. October is Doc-Tober for Disney Junior! Your preschooler can see Doc McStuffins and her toy friends in new episodes on the Disney Junior TV channel and enjoy brand new Doc games and activities on DisneyJunior.com.au. 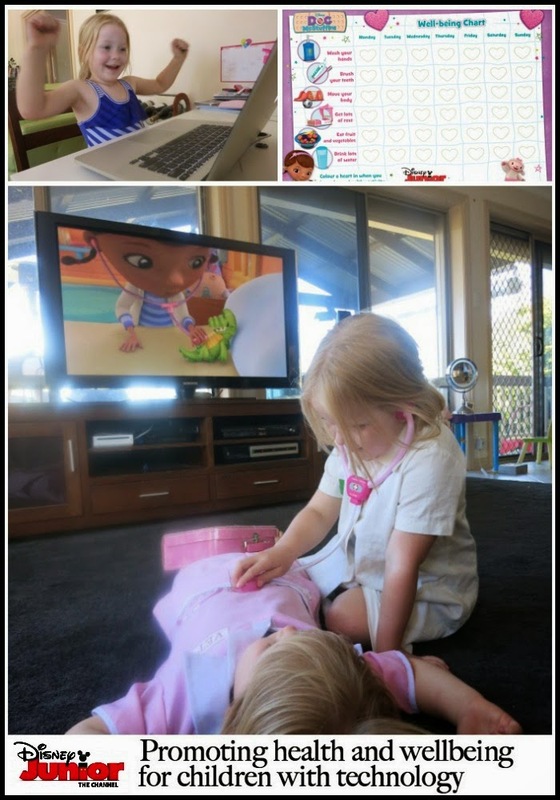 Inspired by the Disney Junior Doc McStuffins series, the kids have been very interested in role-playing Doctors lately. 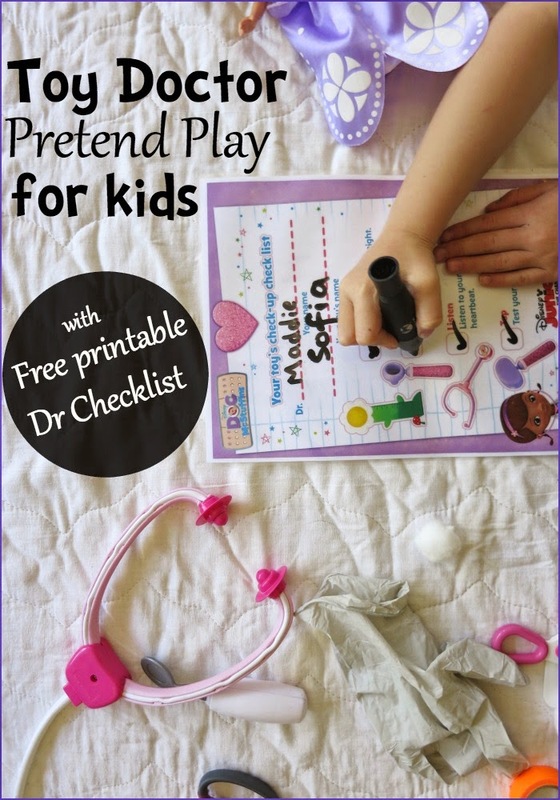 While they were busy the other day, I set up a little Invitation to Play Doctors, utilising the free printable Toy Check-up Checklist from the Disney Junior website, some willing toys as patients and other bits and bobs from around the house. LEGO DUPLO. So many ways to play and learn. 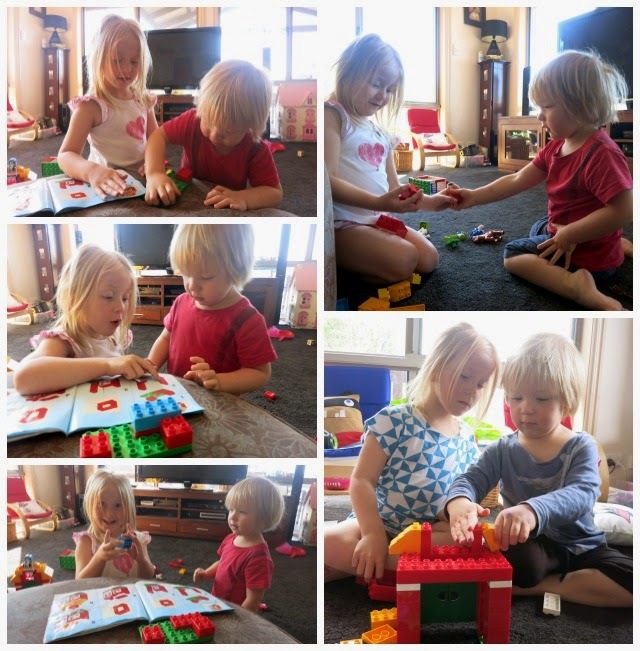 In this post we show you a variety of different ways to play and learn with LEGO DUPLO. LEGO DUPLO has been a part of my life since my earliest memories. My brothers and I played DUPLO a lot while we were growing up, before they moved onto LEGO and I got lost in a world of books. My kids (aged 2 and 5) play LEGO DUPLO often now as well. I couldn't wait to bring out the set that I used to play with as a child. My kids started playing with that set (just as I had) and have since added to our collection. Doc-tober on Disney Junior. Promoting health and wellbeing for children with technology. Watching cartoons is a child's right to passage and these days, Disney Junior have developed the kind of characters and messages that make cartoons for preschoolers something more than just entertainment. They are a resource that parents and teachers can use to help teach and reinforce the important life, health and wellbeing messages that we are continually trying to get across. When it comes to my children watching television and participating in screen-time through different technological mediums such as computer, tablets, smart phones, etc., I am very careful to ensure that I am monitoring what my children are exposed to and for how long. These days, I've found that there are so many shows aimed at kids out there that are full of language, actions and messages that I find unnecessary (and sometimes completely inappropriate) for my children to be watching. If they are going to be sitting there, staring at a screen, then I would like that time to still be of some benefit to them and their overall education, health and wellbeing. This means that the shows we actually watch are pretty limited. I pre-record television shows as I don't think children need to sit through ads and we watch shows that tend to promote and reinforce the messages, values and lessons learnt at home. Speech therapy. How to develop your child's speech with play. 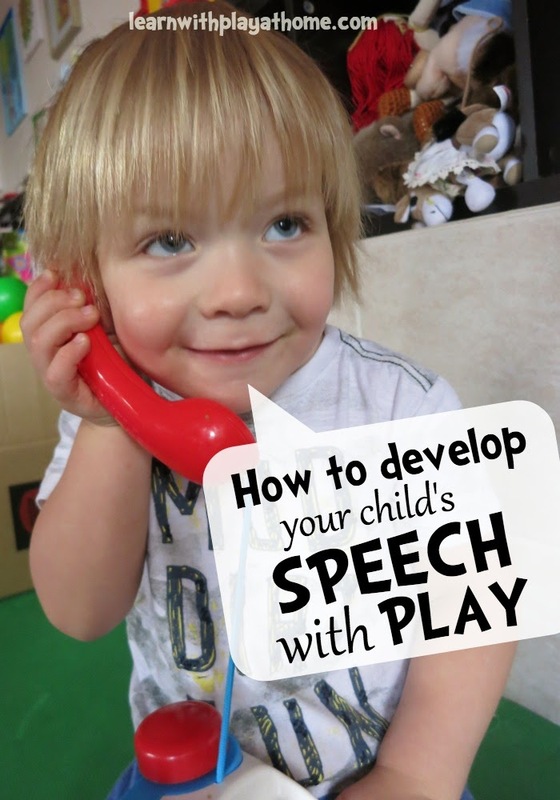 Helping develop your child's speech through play. "Not all children are ready to learn the same thing at the same time in the same way." However, even knowing and understanding all of this, when my son did not start to communicate verbally in a similar way to how his older sister had, I admit that I felt quite concerned. I'd done everything the same. He'd been read to since birth (a lot), talked to and chatted with constantly . We made sounds, did rhymes, sung songs and played together. But, unlike his sister, he did not choose to naturally communicate verbally and would refuse to mimic sounds or try new words. His non-verbal communication was spot on and he was always able to get across what he wanted (which was encouraging) but oral language was not something that came easily to him.